How To Care for My Teeth After Braces or Invisalign Treatments. Completing your Invisalign or braces treatment is something to smile about! You will love flashing your newly straightened teeth and will enjoy all the compliments you’ll get. While it’s important to take pride in your accomplishments, it’s also essential to care for your orthodontic treatment to maintain your perfect results for a lifetime! 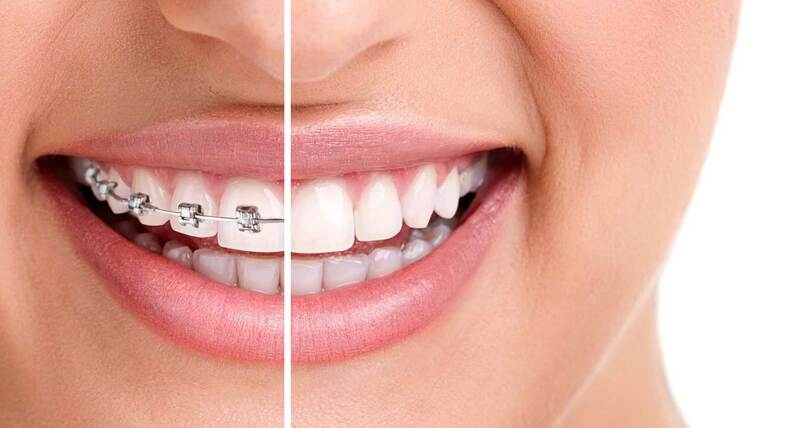 You will need to wear retainers after your orthodontic treatment to keep your teeth aligned and to prevent them from shifting back to the original position. Your lower teeth will require fixed wire retainers, while you can choose from fixed or removable retainers for your upper teeth. A fixed retainer is usually a thin wire we bond to the back of your teeth. This type of retainer delivers the best outcome because the bonded wire works to hold the newly straightened teeth in place all the time. The only drawback is that it takes a little more work to keep clean. A removable retainer is either made of a transparent plastic material or a combination of wire going across the front of the teeth, held in place using acrylic material and hooks in and around the back teeth. Using a removable retainer makes it easier to clean your teeth, but you have to remember to wear it and care for it as instructed. After you complete your treatment, it’s essential to keep up with your routine dental exams and cleanings to ensure your teeth and gums stay healthy. That will allow us to treat any condition as it develops. Additionally, we will watch out for any minor changes in alignment to adjust your retainers if needed, and to ensure you continue to enjoy your beautiful results. Make sure to brush your teeth at least twice a day and floss daily to maintain a clean and healthy mouth. Flossing will help remove any plaque from your teeth that may eventually become tartar, potentially leading to cavities and gum disease. Contact us at Avalon Dental Care to learn more about caring for your teeth after your orthodontic treatment. We would like to congratulate you on achieving your perfect, straight teeth, and look forward to helping you keep smiling with confidence for years to come!